UK science has led to a new variety of broccoli with higher levels of a key phytonutrient, to be sold in all major UK supermarkets from next week. The new broccoli, Beneforté, was developed from publicly-funded research at two of the UK’s world-leading biological research institutes: the Institute of Food Research and the John Innes Centre. They both receive strategic funding from the government-sponsored Biotechnology and Biological Sciences Research Council (BBSRC). Beneforté was initially trialled in Marks and Spencer from October last year. IFR scientists are continuing to develop our understanding of what it is about broccoli, a type of brassica, that makes it a particularly healthy food. Studies show that people with a higher proportion of brassicas in their diet have lower risks of some diseases. 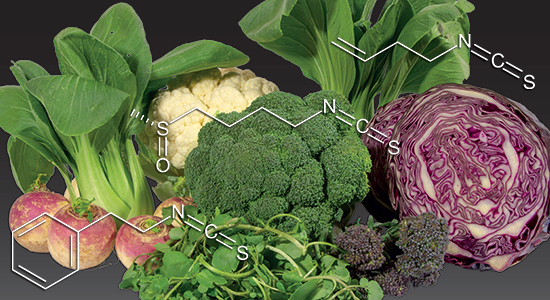 Ongoing research is revealing exactly how brassica phytonutrients exert their effect on human health. The Italian-sounding name, Beneforté, is a nod to origins of the research. 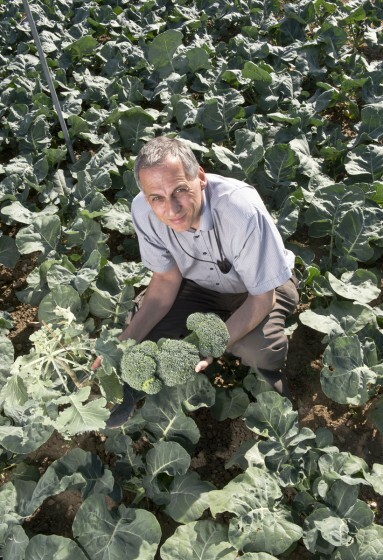 It began when Professor Richard Mithen began to analyse wild brassicas from Italy for glucosinolates. Research at IFR and elsewhere in the UK and US suggested that a particular compound, sulforaphane, derived from a glucosinolate called glucoraphanin, had certain anti-cancer and health-promoting properties. The researchers used conventional breeding techniques to develop the new broccoli, which contains two to three times the level of glucoraphanin than standard broccoli. Research continues, in collaboration with the Norfolk and Norwich University Hospital, to explain the link between eating broccoli and lower rates of heart disease and some forms of cancer. 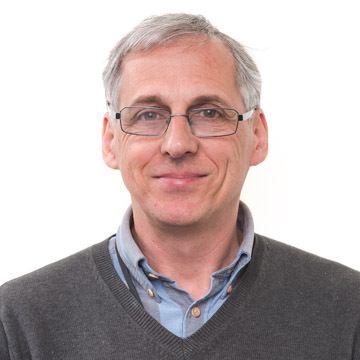 “The results of years of study, at IFR and elsewhere, of the role of glucoraphanin in the diet are now coming to fruition,” said Professor David Boxer, Director of IFR. Dr Jan Chojecki, Managing Director of PBL, the tech transfer company that helped move the research beyond the lab said: “The development of Beneforté has pioneered a new and distinctive type of an already popular fresh vegetable. It is great that this British product is now widely available to everyone in the UK”. Broccoli is the only commonly eaten vegetable that contains meaningful quantities of glucoraphanin. This naturally occurring compound is converted in the gut to the bioactive compound sulforaphane, which then circulates in the bloodstream. A large body of scientific evidence indicates that sulforaphane is likely to have beneficial effects such as reducing chronic inflammation, stopping uncontrolled cell division associated with early stages of cancer, and inducing antioxidant enzymes (1). This research on sulforaphane could explain why people who eat a few portions of cruciferous vegetables such as broccoli every week, have a lower risk of chronic diseases such as cancer and heart disease (2). Studies at IFR have already shown that eating the new broccoli results in two to four times the level of sulforaphane in the blood compared to normal broccoli (3). In collaboration with the Norfolk and Norwich University Hospital, the IFR scientists found that men who ate a broccoli-rich diet experienced changes in the activity of genes associated with tumour survival and growth (4). These changes were consistent with studies that suggest men who eat broccoli-rich diets have a reduced risk of aggressive prostate cancer (5). Prostate cancer is the most common non-skin cancer for males in western countries. Gasper et al (2005) American Journal of Clinical Nutrition 82(6):1283-91. Traka et al (2008) PLoS One. 2008 Jul 2:3 (7):e2568. 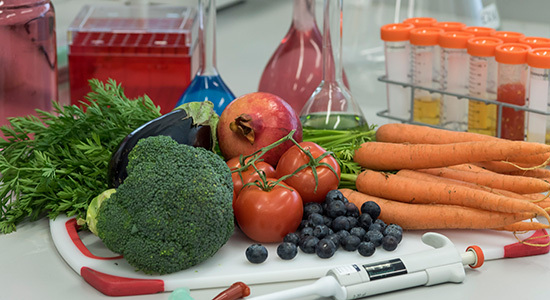 The mission of the Institute of Food Research, www.quadram.ac.uk,is to undertake international quality scientific research relevant to food and human health and to work in partnership with others to provide underpinning science for consumers, policy makers, the food industry and academia. It is a company limited by guarantee, with charitable status. IFR is one of eight institutes that receive strategic funding from the Biotechnology and Biological Sciences Research Council. 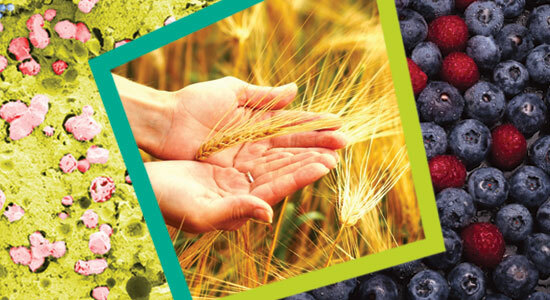 IFR received a total of £13.4M investment from BBSRC in 2010-11. The institutes’ research underpins key sectors of the UK economy such as agriculture, bioenergy, biotechnology, food and drink and pharmaceuticals. In addition, the institutes maintain unique research facilities of national importance. The John Innes Centre, www.jic.ac.uk, is a world-leading research centre based on the Norwich Research Park www.nrp.org.uk. The JIC’s mission is to generate knowledge of plants and microbes through innovative research, to train scientists for the future, and to apply its knowledge to benefit agriculture, human health and well-being, and the environment. JIC delivers world class bioscience outcomes leading to wealth and job creation, and generating high returns for the UK economy. JIC http://www.bbsrc.ac.uk/ is one of eight institutes that receive strategic funding from the Biotechnology and Biological Sciences Research Council and received a total of £28.4M investment in 2010-11. PBL, www.pbltechnology.com, is the JIC’s technology transfer company and has built the development partnerships with the seeds, farming and grocery industries to bring Beneforté to market. PBL was formed in 1994, and is now jointly and equally owned by the John Innes Centre, The Sainsbury Laboratory and the BBSRC (Biotechnology and Biological Sciences Research Council). PBL invests in and manages the transfer of new innovations for many public research organisations around the world. BBSRC invests in world-class bioscience research and training on behalf of the UK public. Its aim is to further scientific knowledge to promote economic growth, wealth and job creation and to improve quality of life in the UK and beyond. Funded by Government, and with an annual budget of around £445M, we support research and training in universities and strategically funded institutes. BBSRC research and the people it funds are helping society to meet major challenges, including food security, green energy and healthier, longer lives. BBSRC’s investments underpin important UK economic sectors, such as farming, food, industrial biotechnology and pharmaceuticals.